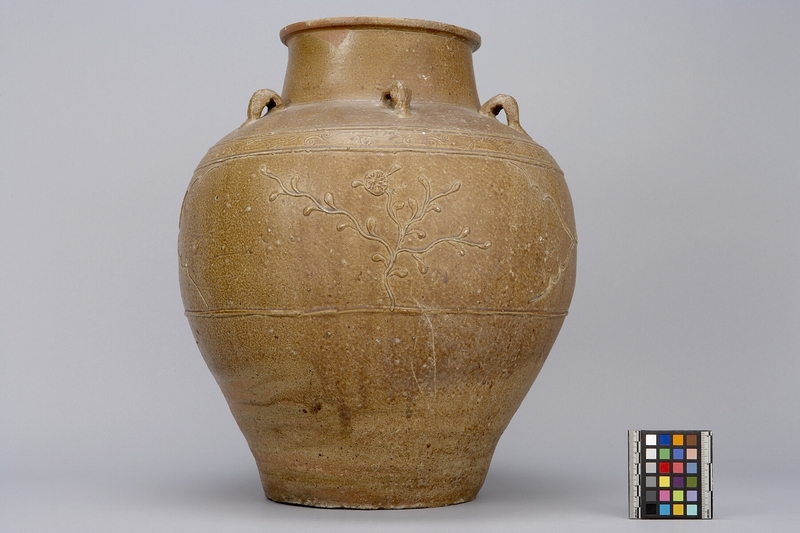 Item number Ia259 from the MOA: University of British Columbia. 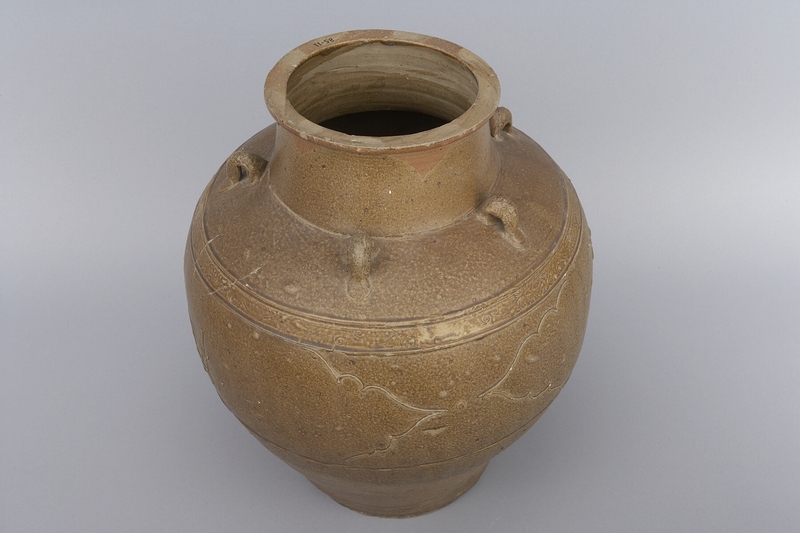 A bulbous jar with wide mouth, fairly long neck and five vertical lugs. The main body motif is two bands of floral design. The first narrow band of flowers just under the lugs is condensed and stylized. The second band is much wider and consists of a sparse floral design in fine bass relief. Large kiln defect on one side. A set of inked numbers on lip. 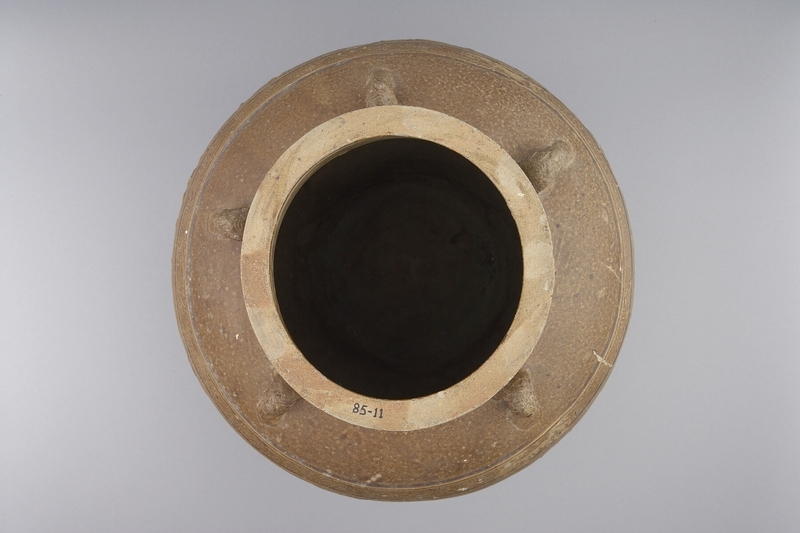 In many indigenous groups of the Philippines, supernatural power was attributed to Chinese ceramics because of the ringing sound emitted when lightly tapped and their vitreous, shiny glazed surfaces which impart an impermeable quality. The ringing sound was seen as a magical voice able to attract the attention of powerful ancestor spirits. Their impermeable and seemingly imperishable surfaces were believed to have great protective power against all kinds of influences, from evil spirits to poisons (Langrick, p. 55-56).